Katie Rehberg was born in Buffalo, New York. After graduating high school in Tampa, FL, she attended the University of South Florida and obtained a Bachelor of Science degree in BioMedical Science. In 2009, she received a Masters of Surgical Physician Assistant Studies from the University of Alabama at Birmingham. She enjoys all areas of dermatology and has 6 years of surgical expertise, including pediatric surgery and cosmetic venous medicine. 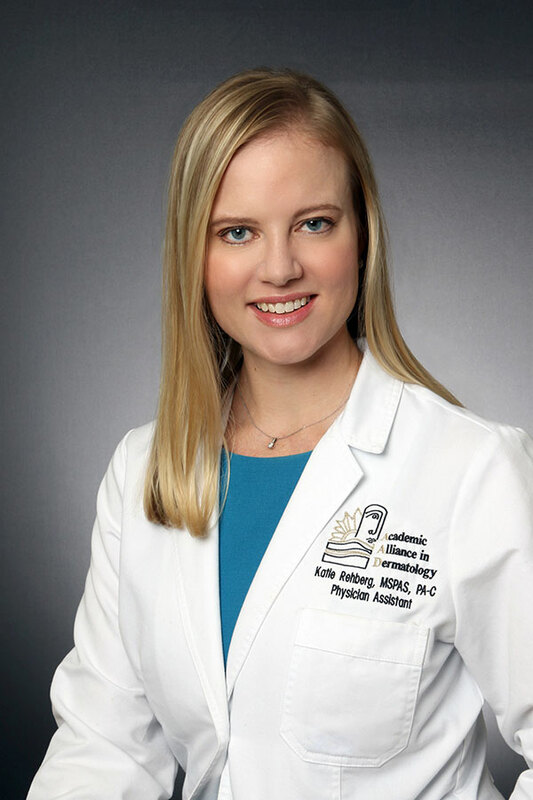 Mrs. Rehberg is currently a member of the American Association of Physician Assistants, the Florida Association of Physician Assistants and the Junior League of Tampa.